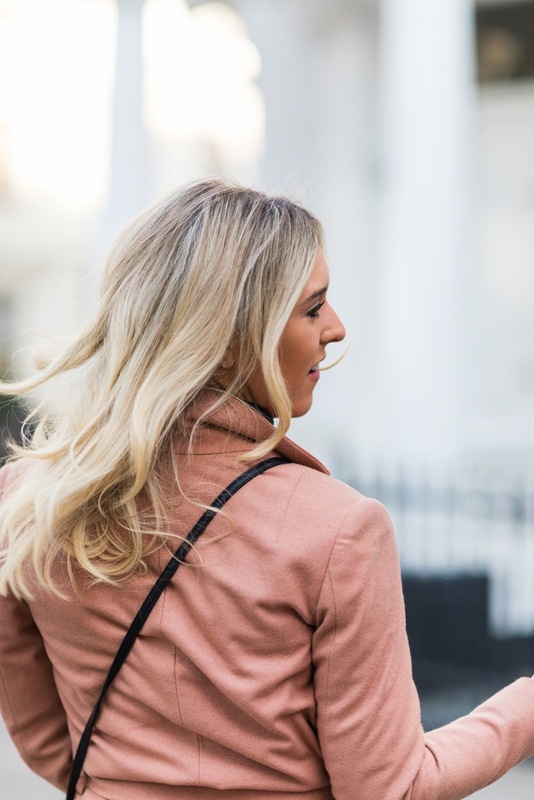 If you've been following Emtalks for quite sometime, you'll know that hair and hair care is one of my biggest passions. Let's rewind right back to the start... I always longed for thick, long hair (the kinda hair you see daily on Instagram) so wore extensions for years when I was younger and bleached the life out of my hair. This resulted in the most damaged, unhappy, stressed hair. Let's just say, hair extensions and too much bleach ruined both my hair and my confidence. Read about how badly my hair was damaged here. Anyway, I'm so pleased to say, years on, my hair finally is getting to where I want it to be. It's full, it's bouncy and mainly, it's growing and it's healthy. 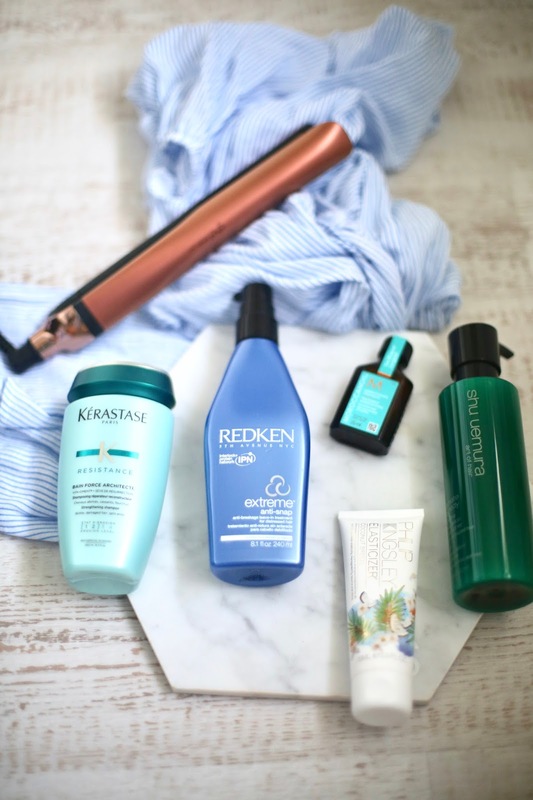 I want to talk to you about some of my top products for hair growth and for hair strength today and give you an insight into how I got the confidence back with my hair. I did a little haul on HQhair (students, they're available on UNiDAYS, hello amazing discount) and re-purchased some of my favourite hair growth products. I'm also giving you the chance to win a £50 voucher to spend on hair goodies if you read this post too, you just have to make sure you sign up to UNiDAYS here to enter. Let's discuss. See this as a reflective post, from someone who has tried absolutely everything when it comes to growing the hair and rebuilding the strength of damaged hair. 1. Find A Good Hair Dresser - Finding a good hairdresser really is essential for hair growth. This means, someone you can really trust with your concerns, trust with your hair and mainly, if you were like me, open up to and tell them your hair story. I wrote a whole blog post about how to find the best hairdresser which should help you. With firm foundations comes growth. 2. Treat Your Scalp Like A Flower Bed - If you see your hair as a flower bed and realise that just like the above, firm foundations equal growth and strength, then you'll understand how important it is to treat the scalp. 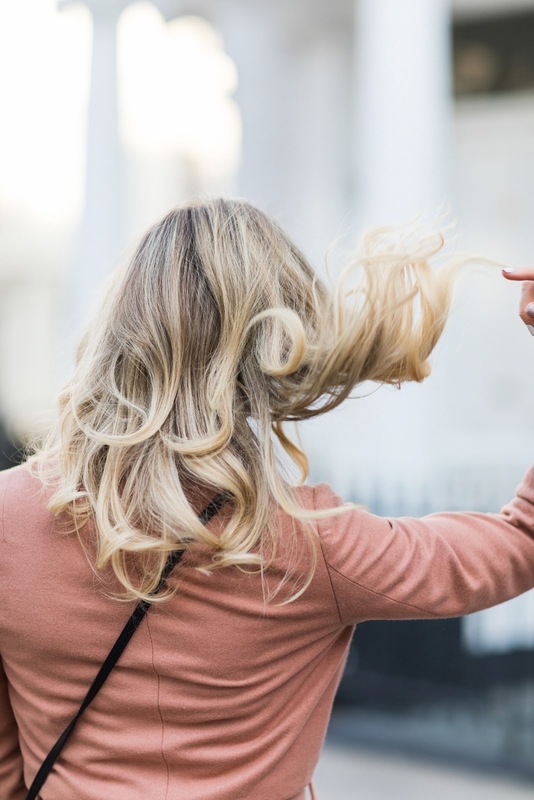 The scalp is obviously where all the hair follicles are and where it grows from, so little things like burning it in the sunshine (totally guilty) and letting it clog up with product can be detrimental to your scalp health. I did something once at Sassoon where they went into my scalp and actually showed me just how much gunk (disgusting, I know) had built up on my scalp and was covering my hair follicles. I've currently been using an at home hair treatment by Aveda, you put it on your scalp and then brush the gunk away. You can also get this done in their High Holborn salon and my scalp felt so cleansed. 3. Treat Your Hair Like Silk - One of the best pieces of advice I read when researching how to grow my hair was the silk quote. Treat your hair like a piece of silk. It's so true. This means tying it up with a nice soft hair bobble whilst you sleep or even putting it in a loose plait, not brushing it when it's wet, not using too much heat and just being so careful when brushing. Even things like carrying a bag on your shoulder can catch your hair. If you are trying to grow or strengthen your hair, it is so important to treat it like silk. My hair was so bad back in the day and I tied it up for a year and didn't use any heat. I felt so ugly every single day as my hair really was my comfort blanket, it still is, but these things take time. 4. Regular Trims - My hairdresser, Lee at Sassoon (he now works in the Manchester salon) transformed my confidence and my hair health. When I first went into him I barely had hair, he took one look at me and knew he had a serious mission ahead of him. We took it step by step and focused on rebuilding my hair, every 4 weeks. Lee works with my hair every time he cuts it (I now go to him about every 10 weeks) ensuring maximum hair health and growth. It's such a myth that not cutting the hair makes it grow, sure, it'll grow but it will be weak. It's better to start from scratch so you've got a good starting base then grow it from there, trim the dead ends off before you get too much growth and then every time it grows, it grows back healthy and strong. I have no words to explain just how much the team at Sassoon have helped me and that's why I recommend everyone visits them. They're the best of the best, if you head to any Sassoon and say EM SHELDON they'll give you 20% off a cut or colour too! 5. Time Is Key With Hair Growth - Last but not least, sadly, there are no quick routes to hair growth, it's something that really takes time and perseverance. Take it from someone who's tried everything, from coconut oil to grow the hair and even extreme diet changes and hair growth tablets. The only way to grow it is to persevere, care for the hair and treat it like silk. I spend a lot of money on haircare and hair treatments. 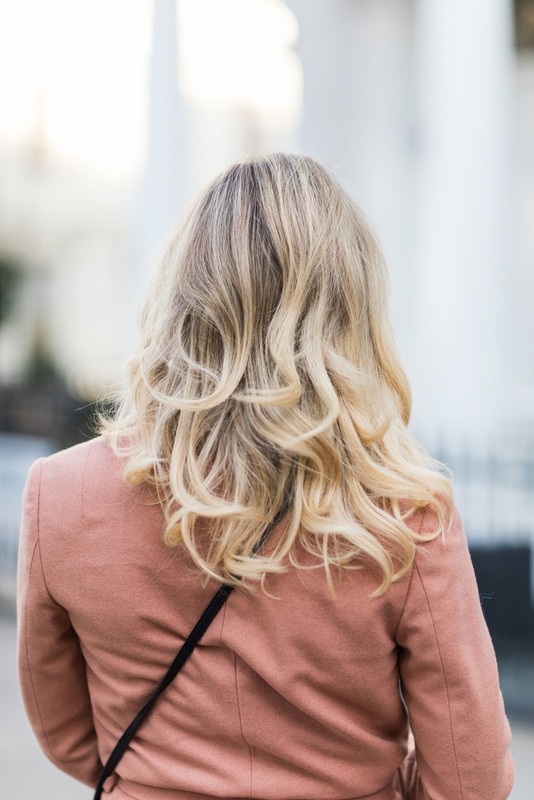 I go for my blow dries at Sassoon every week and when my hairdresser recommends it, I get a liquid hair treatment to bring back the life of my hair. Good hair products, hair services and treatments do cost money, as does a trip to a good, reputable hair dresser but it does make all the difference. The reason I swear by Sassoon so much is because their hairdressers are the best in the business, the knowledge they have is just absolutely insane and they are constantly trained and tested and have to keep up with new trends and technologies, ensuring your hair will always look it's best. My Mum has always said it's important to spend money on hair because it's something everyone sees. When I was a student, I went to a really not-so-good hairdresser who basically bleached my hair to death. Thanks to UNiDAYS (all hail UNiDAYS), one of the best apps out there for students (if you want to save money as a student, you must sign up here and download it, now... you can get discount pretty much everywhere and anywhere with the app, hair care doesn't have to cost the earth anymore. UNiDAYS is also free to sign up to (and such an easy platform to use) so if you are a student and aren't signed up, where have you been? If beauty is your thing, they partner with other brands like Urban Decay and Benefit too for discount. I only went to this hair dresser because she used to charge me £10 for an all over bleach (now I know why). Back then, I'd spend every penny I had on Warren Tricomi, Aveda, Kerastase. I'm so glad that we can now buy all our favourite hair products online. I headed to HQhair, with the help of UNiDAYS discount and stocked my bag full of my favourite, must have products for strengthening the hair so I could talk to you about them. If you are a student, sign up to UNiDAYS using my link and the team have kindly given me £50 worth of vouchers to give you to spend at HQhair. Just sign up here to UNiDAYS to be in with the chance of winning. Good luck! 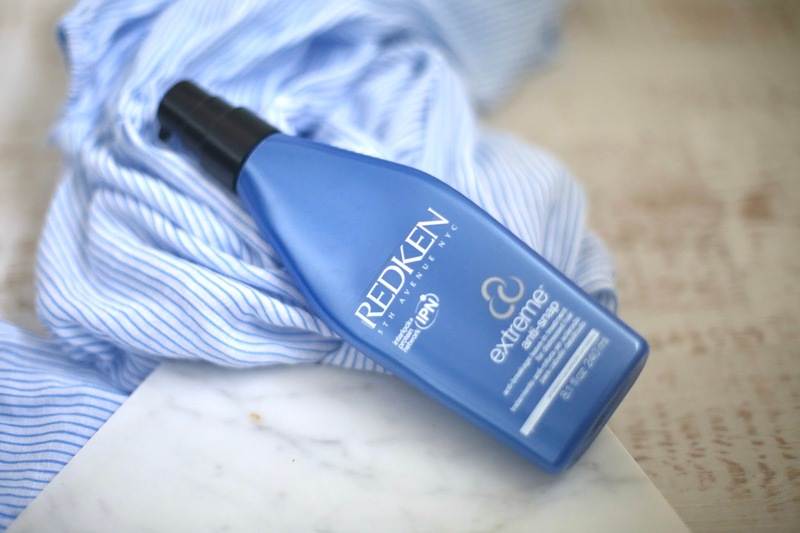 Redken - Redken is one of my favourite brands for strengthening damaged hair. Their extreme anti-snap range is just incredible, I swear by it and in particular, their leave in primer for the ends of the hair. I feel much happier blow drying my hair when this is covering it. Top hair growth tip: Make sure you use heat protection. I totally understand everyone uses heat on their hair in todays day and age but there's no excuse not to use heat protection, even if it's just a cheap one. Buy this from HQhair online here, don't forget to click here and sign up to UNiDAYS for your discount. 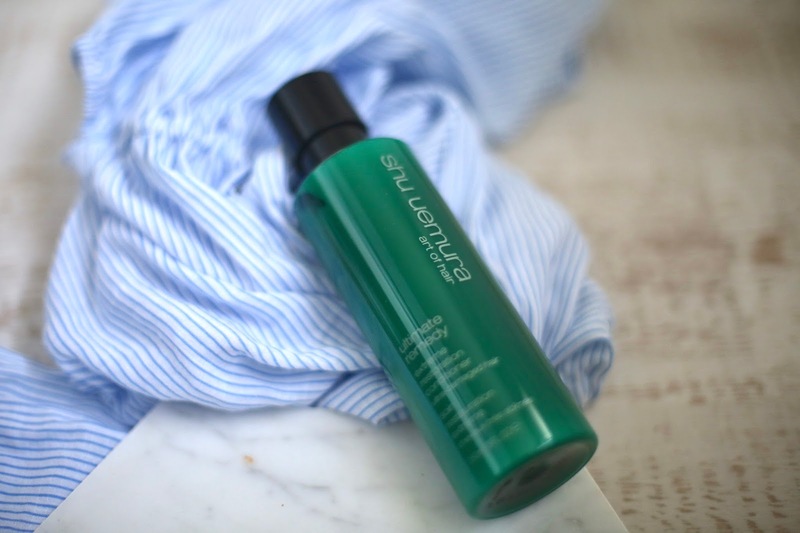 Shu Uemura Ultimate Remedy - A long time ago, I had a Shu Uemura hair treatment and it was epic. I've loved Shu for their eyelashes for a very long time but their hair range is also epic. I find their products stop my hair from feeling dry and really do rejuvenate it. Buy this from HQhair online here, don't forget to click here and sign up to UNiDAYS for your discount. 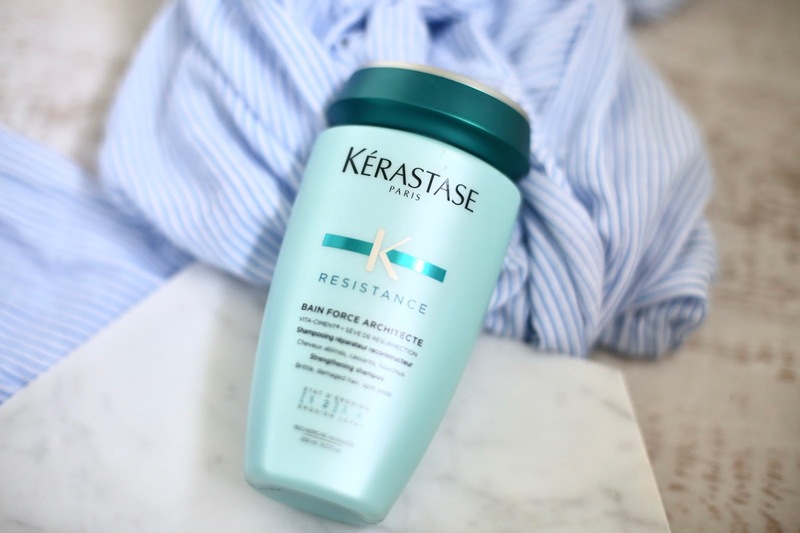 Kerastase - The ultimate brand for strengthening hair, Kerastase. Their Bain Force Resistance has proteins inside it and I feel like it repairs the hair. I love coating my hair in their leave in lotions before blow drying and then swear by sleeping in their treatments and washing off when I wake up. If you are into good hair care, I absolutely adore Kerastaste Incroyable Blow Dry as it protects the hair from heat for up to 48 hours. Buy this from HQhair online here, don't forget to click here and sign up to UNiDAYS for your discount. Philip Kingsley - Philip Kingsley's Elasticizer is brilliant. 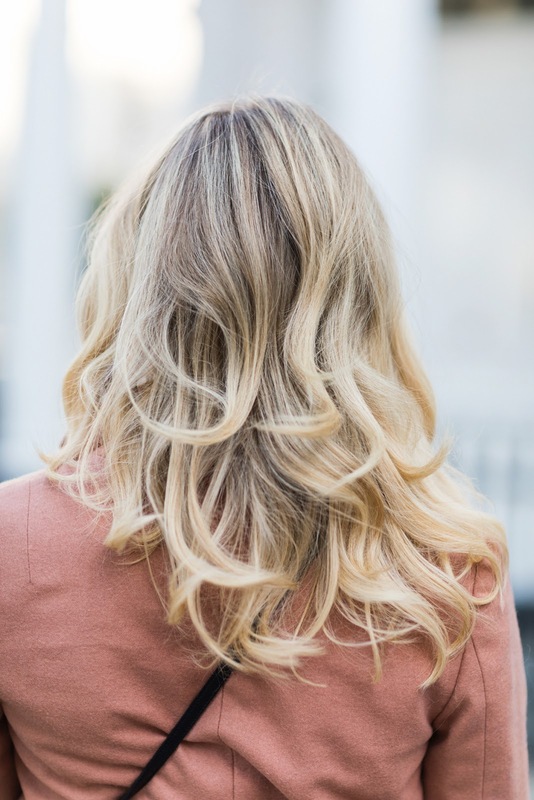 It's a pre-wash treatment that restores the hair and makes it feel fuller and bouncy. It smells incredible and I really do feel like it makes my hair so soft. Buy this from HQhair online here, don't forget to click here and sign up to UNiDAYS for your discount. 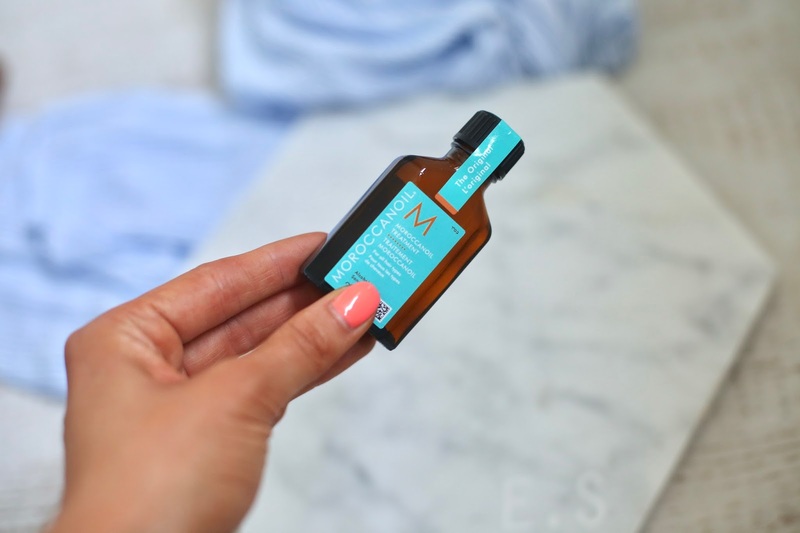 Moroccan Oil - I've sworn by Moroccan Oil for a long time. Every time I ask girls with beautiful hair what they use, they say Moroccan Oil. 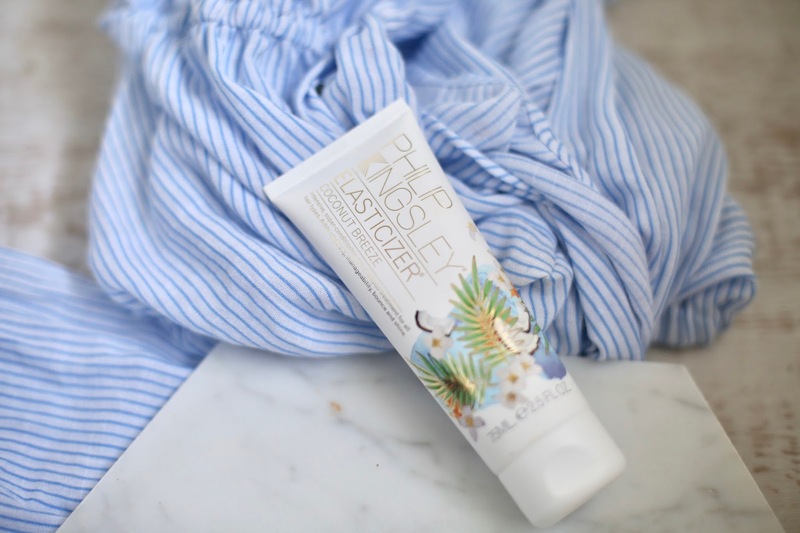 You can use a small bit of this before blow drying or, if you're in the sun for example, use this and coat it all over the hair, let it sink in with the heat and then wash it off after a few hours. Buy this from HQhair online here, don't forget to click here and sign up to UNiDAYS for your discount. L'Oreal Pro - Don't forget, L'Oreal owns most of the amazing brands you hear about in the hair industry, so don't ever forget to shop actual L'Oreal. The technology in L'Oreal products is the best and I'm obsessed with L'Oreal pro at the moment. Affordable, professional and amazing! 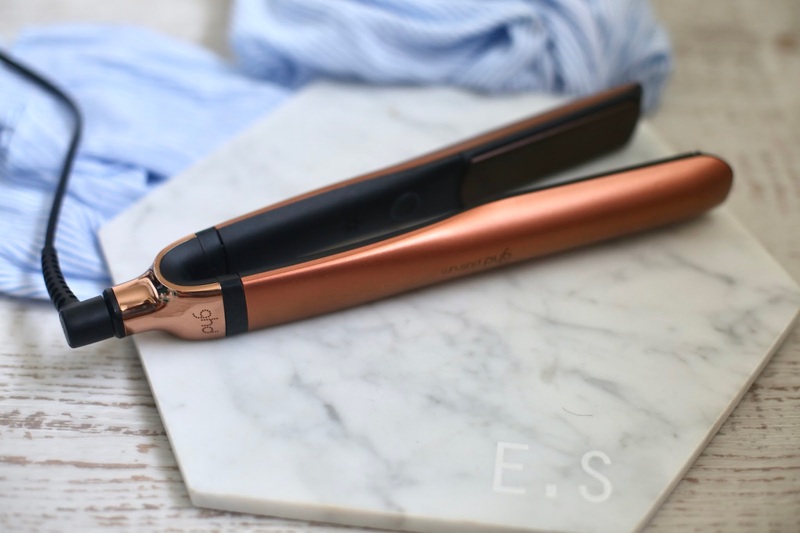 GHD - Now I'm back to using heat, I swear by GHD. They do amazing heat protections, the best travel hair dryers on the market and, their split end repair serum is incredible. I had no idea when I was younger that you can get student discount on GHD'S. Their new Wanderlust range is possibly the most perfect range I've ever seen and now, thanks to UNiDAYS, you can get it discounted. Buy this from HQhair online here, don't forget to click here and sign up to UNiDAYS for your discount. I know how terrible it feels to have weak, non-growing, unhappy hair and I started with one tiny strand and now, actually have hair. I book myself in for regular treatments, do them at home using some of the brands above and try to only use heat twice a week now. I highly recommend going to proper salons for hairdressers, I made the mistake of going to random salons in Miami as I was desperate for a blow dry and they burnt my whole scalp and didn't use any heat protection. This brings me onto another topic, easy ways to make the hair stronger. There are a few things you can do, to make the hair stronger, along-side using really good products like the brands above (take it from someone who's tried everything) and alongside an epic hairdresser, like Lee at Sassoon. Sleep In Hair Masks - I do find sleeping in hair masks really helps to strengthen my hair. It gives the hair time to recoup and also, let's the mask really soak in over night. My favourite hair masks are definitely by Kerastase. I use a really good one in the sun by Aveda too. Go To Proper Salons - My hero blow dry bar is SHOW beauty, I go here because they do the best bouncy blow dries when I'm in London but mainly, they're quick and they actually care for my hair. I absolutely swear by blow dries but the amount I've had where they've failed to protect my hair, so now my go-to for a quick, kind-to-hair blow dry in London, is SHOW. When I have more time, I go to Sassoon, If I could, I'd go every single week, twice a week. You cannot beat a proper blow dry with a professional who really understands your hair and it's needs. Make sure they use heat. Use Heat Protection - As above, make sure heat protection is used. Let The Hair Get Dirty - I was always told to let my hair get dirty. Limit Heat - As I said, I didn't use any heat for years on my hair and even now I let my hair get dirty and probably only use heat twice a week and then let my hair go with the flow the rest of the week. This limits damage. So there we have it, the key? Time, a good hair dresser and good products. Leave a comment and let me know about your hair journey. Do you have damaged hair? Have you found any good products or tips for hair growth? If you are looking for hair products, make sure you head to HQhair to get some bargains with your UNiDAYS here discount and be in with the chance of winning a £50 voucher to top up your hair care cupboard. Make sure you sign up. *This is a collaboration with UNiDAYS and I highly suggest you sign up!